Adrian Brown took the following image of the Black-Eye galaxy (M64) in Coma Berenices on the 10th May 2005. 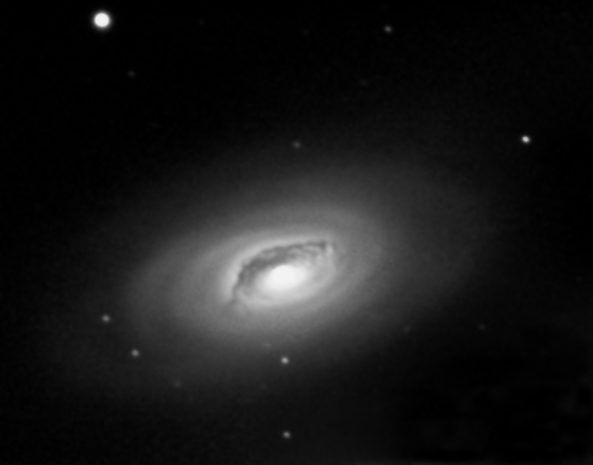 He used a monochrome ATK-2HS camera and a Celestron C11 scope at F6.3. The image was created from just over 26 minutes of exposures (40 x 40 second exposures).